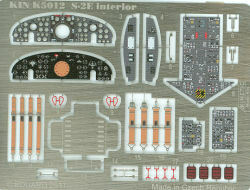 Kinetic has released a nice detail set for their recent 1/48 S-2 Tracker kit. 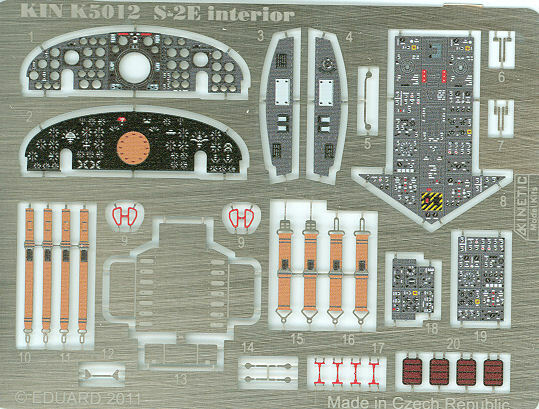 This set is color-printed photo-etch produced by Eduard for the Kinetic brand of detail sets and provides a great-looking two-layer instrument panel, center console, overhead console, seat belts, shoulder harnesses, and actuator handles to dress up that kit interior. 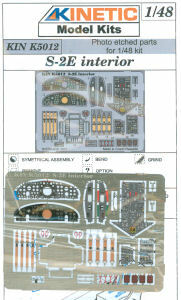 Take a look at those details - the Eduard color photo-etch brings alot of detail to light without much effort on the modeler's part. You can obtain this set directly from LuckyModel with free shipping and fast service.